Try to realize it's all within yourself"
LOVE captures the excitement of the initial intention, blending perfection into a swirl of absolute heart-stopping ecstasy. At times it is a wild Beatles party and at other moments, an introspective solitude. All the vocals have a new smooth silky warmth while retaining a clarity that is stunning. What I noticed about the artistic creative force within this album is the connections and transitions (especially between tracks 24 and 25) that show inspired considerations. "I Want to Hold Your Hand" is superior and it effortlessly merges into "Drive My Car." Even when one track fades out, an ambient moment will appear as if from the mist. "Something" is richly layered and infused with subtle nostalgia. The haunting soundscape of winds sweeping across ice dramatically changes into "HELP!" I'm completely fascinated with the transitions on this album. In "Within You Without You" there are echoes of the past and future in a fusion of ocean sounds, like birds taking off in all directions from a lapis sea. This is where it gets even better because the songs merge and "Lucy in the Sky with Diamonds" suddenly appears and at times melts into melodious metamorphosis where sounds seems to be bubbles within bubbles that suddenly burst, while others float down to the ground, leaving the song more grounded with percussion. The transition from Octopus's Garden to Lady Madonna is like a thunderstorm. My computer speakers don't do this album justice, nor will my portable stereo ever spin this CD! Buy some AKG K240 headphones to listen to this album and you will hear the lush perfection this album deserves. LOVE is a fine masterpiece of sound, created for the best speakers or headphones you can afford. The sounds will then play around in your head, jumping from side to side, swirling out and into expansive visual and auditory playgrounds. "Here Comes the Sun" almost seems to have a brilliant display of colors at the start. "Revolution" will pretty much knock you across the room unless you turn down the volume and "Back in the U.S.S.R." takes off from a runway and then mellows into a breathless heart sigh of sound in "While My Guitar Gently Weeps." The album had my heart at this point because of the orchestral beauty. Unlike many mass produced modern recordings, "this one is for the true music collector" who wants to indulge in rich textures and hear every moment of sheer auditory bliss. 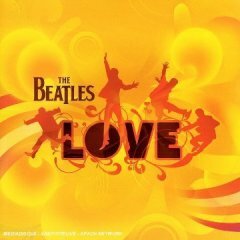 What a Musical Masterpiece and Essential Beatles Tribute! 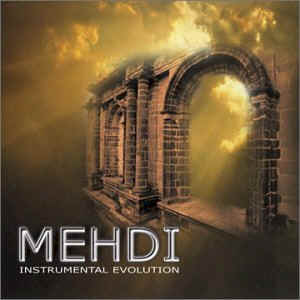 MEHDI (pronounced Meddie) writes music to bridge the gap between contemporary instrumental and alternative music. The primitive elements merge with divine ecstasy as each piece takes you into a visual musical journey that seems to transcend time and space. MEHDI means "the divinely guided one" or “flower” and in a way, this music guides you into a deeper existence that is at times mesmerizing. I feel my thoughts mellowing out and images start appearing in my mind. I could see pictures drifting across my mind like mirages, appearing, disappearing. Instrumental Evolution is the 7th album (it says that in the pamphlet) he has produced for Soothing Music. The blending of Piano, Live Orchestral Strings, Solo Violin, Cello, Flute, Electric and Acoustic Guitar, Rhythmic Hand Percussion captivates the heart in a unique way. It can bring you into a moment of deep contemplation or provide an escape from stress. Instrumental Evolution is also perfect as a backdrop for romance or massage. The more you listen to this CD, the more each instrument is highlighted in its own perfection. The flute is especially relaxing and exotic, while the piano is crisp and awakening. Between the notes, there is never an empty space. Just a warm, loving place for your soul to be embraced by each note. 1. Shining Star – emotionally uplifting and if you could hear stars falling from the sky in the pitch of the night, that is what you can hear at times. 2. Evolution of the Heart – A romantic piece with a slight bittersweet memory woven between hope. 3. Heavens Caravan – Ethereal high points blend with deep as the ocean sounds. 4. Flight of the Butterfly – When you hear this you will immediately see a butterfly in mid flight above a flower. Perhaps hovering and then it takes off and climbs to the sky, higher and higher, enjoying the moment, perhaps warmed by the sun and caressed by a gentle breeze. This is my favorite track because it makes me feel joy. 5. Falling Leaves – If you could create a piece that was a musical interpretation of fall, this comes pretty close. You can almost see the leaves falling one by one onto the ground in quick succession. There is a chill to the music that says winter is approaching. The clearness of the flute could only echo across a barren land in the cold night air. 6. Summer Breeze – Playful and laid back. Imagine sitting outside in the warm evening on a beach counting the stars. A loving and romantic piece. 7. Gateway To the Clouds – The guitar is featured and can at times be mesmerizing. The notes from the flute seems to dance around the notes from the guitar. 8. Book of Roses – Haunting and poetic. Sweetly and delicately beautiful. You will find yourself taking deep breaths as you surrender to the music. Just let it take you where you want to go. of slowly awakening from a deep sleep. If you enjoy Yanni, John Tesh, Jesse Cook, Smooth Jazz or New Age Music in general that creates musical pathways to journeys of the mind, then you will enjoy this album. I think the reason this music is so beautiful is because it is uplifting and produces that floating “in love” feeling otherwise known as bliss. Instrumental Evolution invites you to experience the moment, to feel joy and to feel at one with the universe.